A super comfortable harness by Neotech. 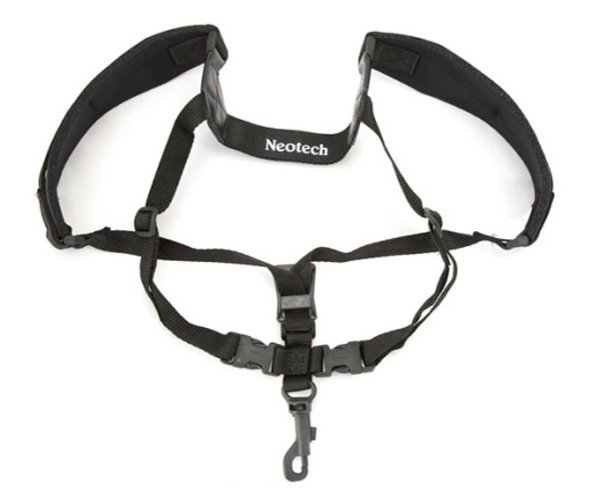 The use of neopene and elastic support system will help reduce the weight and strain of heavy instruments. Ideal if you are in a marching band or have neck/back problems. The harness has a swivel hook to ensure the safety of the saxophone. Strong and durable and comes in different sizes.